Dori's parentage is unknown although he was a member of the House of Durin and a remote kinsman of Thorin. His birth year is also unknown. However, in Bilbo Baggins' account of the quest to Erebor he stated that the brothers Fíli and Kíli were the youngest of the thirteen 'by some fifty years' and that when Thorin was missing, Balin was 'the eldest left' Since Fíli was born in T.A. 2859 and Balin was born in 2763, this would put Dori's birth between 2809 and 2763, and he would have been between 132 and 178 years old during the quest to Erebor. Thorin stated that Dori was the strongest of the Dwarves in the company. Dori (and Nori) shared Bilbo's opinion that meals should be plentiful and frequent. 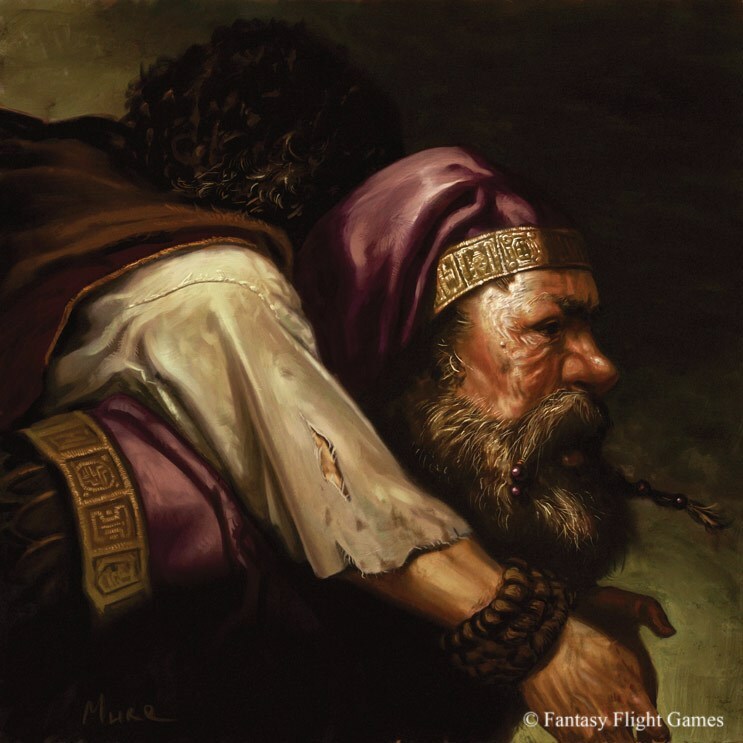 Bilbo proclaimed Dori to be 'really a decent fellow' because thrice Dori assisted Bilbo when the hobbit might otherwise have been killed: First, Dori carried Bilbo in the tunnels of the Misty Mountains during the escape from the goblins, but unfortunately dropped him; the other Dwarves later blamed him for losing their burglar. Second, during the escape from the Wargs, Dori climbed down from a tree, which allowed Bilbo to scramble up Dori and into the tree. Lastly, Bilbo grabbed Dori's legs as they were carried off by an eagle, saving them from a fire lit by Goblins. When Gandalf was telling the story of the company's adventures to Beorn, Dori and Thorin were the first two Dwarves to show up. 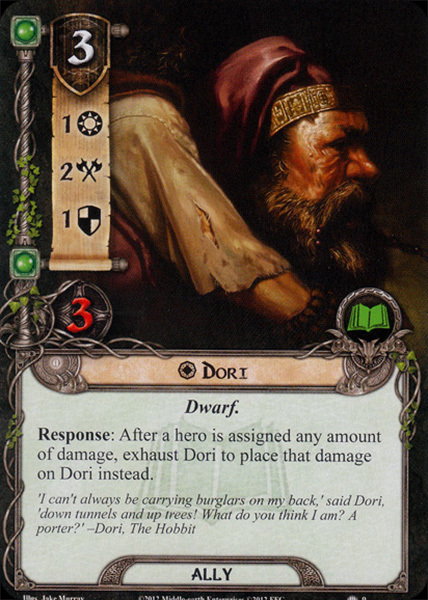 Upon being pulled out of the barrel after escaping the Elvenking's halls, Dori was one of the Dwarves who was waterlogged and seemed only half alive. 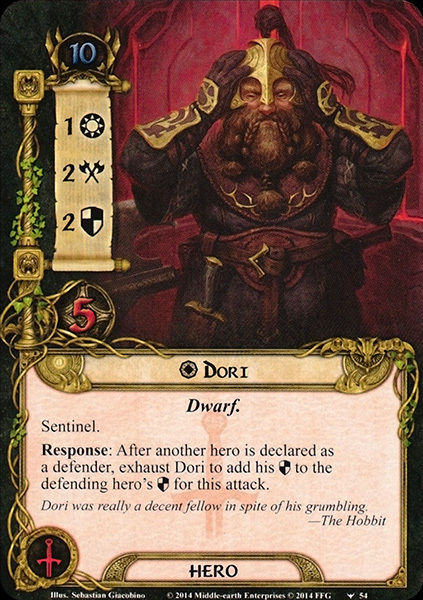 Dóri is a dwarf from the Dvergatal. His name most likely means 'Borer' or 'auger-man'.